Robbert Rietbroek is Chief Executive Officer of PepsiCo Australia & New Zealand. Robbert has overall responsibility for PepsiCo’s snacks and beverage business and its portfolio of successful brands including Smith’s, Doritos, Red Rock Deli and Bluebird Potato Chips, Pepsi Max and Gatorade. Robbert is committed to driving product and business innovation across PepsiCo ANZ, through the development of customer centric, cross functional collaborative teams as well as the implementation of transformational business processes. Robbert has been leading PepsiCo ANZ since November 2015 and has a wealth of experience in fast moving consumer goods, both locally and globally. 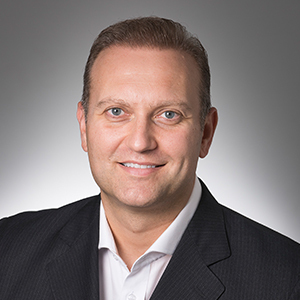 Robbert was previously Managing Director and Chief Executive of Kimberly-Clark Australia, New Zealand and the Pacific Islands and Global Vice President Baby and Child Care in Irving, Texas. Robbert also spent 16 years at Procter & Gamble in a variety of general management and global as well as regional marketing roles. A truly global leader, Robbert has extensive professional experience in both developed and emerging markets, having run businesses in North America, South America, Europe, Middle East, Africa, and Asia Pacific. Robbert has worked across multiple FMCG categories and has been awarded for exceptional brand building and innovation..
Robbert is a Director on the Board of the Australian Food & Grocery Council (AFGC) – Australia’s leading FMCG industry association – and is Chairman of the AFGC Health, Nutrition and Scientific Affairs Committee. Robbert is also a Director on the Board for the American Chamber of Commerce (AmCham) in Australia. He holds a Master’s degree from the Maastricht University School of Business and Economics.